Many constituents are concerned about what is happening in the poorest parts of the world and want to know what the government and I am personally doing about their concerns. So, I was pleased to join some of them at the local launch of the ‘‘Enough Food for Everyone’’ campaign on Saturday. There is enough food in the world to feed everyone. The UK is leading the fight against global hunger. The generosity of local people and the hard work of charities have helped millions of families get the food they need. But there is still more to do. Nearly a billion people around the world do not get enough food. And under nutrition holds back the growth and development of millions of children. I deplore the shocking levels of food waste in our country and am very worried about the EU agricultural policies that could see the return of food ‘mountains’ and ‘lakes’. That’s why I welcome the NGO campaign on food. I know that this is an issue which many people in Cornwall feel strongly about and will be campaigning on this year. I’m determined that this Coalition Government will listen to their passion and lead the world in combating hunger. The UK will continue to lead on this issue in 2013, using a special event before the G8 summit in the UK to drive further global action to reduce hunger and malnutrition. We will also drive forward progress on the G8 New Alliance on Food Security and Nutrition. I want to see scientific innovation, better accountability by governments, and greater co-operation between governments, civil society and business. We need to tackle the root causes of hunger and poverty, not just the symptoms. So David Cameron will use the UK’s Chairmanship of the G8 to help build the open economies, open societies and open government which drives lasting prosperity. Action will be taken to promote transparency in extractive industries, so that the wealth of developing countries is used to tackle hunger and poverty, and not stolen by corrupt elites. He’ll work to ensure that everyone pays the tax they owe. And he’ll promote trade, to spur growth and wealth creation. Unlike the poorest countries, we have a welfare system that does provide support for those that need it. Sadly, in my experience all too often those that most need support are the least likely to come forward to request all the help available to them. It is simply not acceptable to me that anyone should be going to sleep hungry in our country or any country. It is vitally important that anyone who volunteers in local food banks or knows people who are really struggling to contact me so I can get the people they are supporting the help that is available. I am delighted to see the Cornwall and Isles of Scilly Local Enterprise Partnership utilising Regional Growth Funding to support a Cornish business in creating a new design studio. I have been a member of the Conservative Party for as long as I can remember and even as a child have fond memories of Christmas fairs and bring and buy events in my constituency. Over those 50 or so years as society has changed, so has being involved with the Conservative Party. Essential ingredients have remained much the same, such as local fundraising, campaigning on local issues, delivering newsletters and talking to people on their doorsteps about what is important to them. Most importantly for most members is the selection and election of candidates to represent their neighbourhood and community. The Conservative Party is a grassroots movement, reliant on volunteers and backed up by a small team of dedicated professionals. People of all ages and backgrounds are welcome and there are specialist groups such as Conservative Future for young people. For some supporters and members their involvement is largely social, wanting to spend time with like minded people. Or an opportunity to network. For others it is about getting off the fence and joining a political movement that has been the most successful in English history; constantly responding to the challenges it faces and innovating. It is a values based organisation and seeks to represent the whole nation so has members in associations and groups around the UK. Increasingly, members and supporters can get involved through social media. The Conservatives’ Facebook page has 158,000 ‘likes’ compared to 134,000 for Labour and 94,000 for the Lib Dems. @David_Cameron, the Twitter handle for David Cameron as leader of the Conservative Party launched in October 2012, had 177,639 followers by December 1st and is growing at 4,000 to 6,000 per week. Integrating social media into all our work as well as sending regular updates on the Conservative Party to members and supporters is increasingly important. Our conferences are videoed and highlights are easily available on a wide range of social media sites. While there is no replacement for face-to-face conversations, for many busy people juggling work, home and activities in the community, getting involved online works well. Everyone involved with the Conservative Party wants to make a positive difference and a growing number are actively taking part in the Conservative Policy Forum (CPF) – the party’s policy discussion network. They exist to give members the chance to discuss the major policy challenges facing Britain and feed into the 2015 manifesto preparation. The national CPF team oversees nine different discussion papers each year with every member invited to contribute. The relevant Government Minister then reads a summary of submissions and replies accordingly. All these submissions and responses are available on the website www.conservativepolicyforum.com. Schools, Europe and immigration will be key discussion areas in the next few months. Other CPF activities include a broad programme of events at the Party Conference which last year was attended by more members than for many years, thanks to some good deals negotiated on travel and accommodation to keep the cost down. CPF has come on leaps and bounds since its launch in early 2011. So far 19 discussion papers, from the first on the Alternative Vote to the most recent on schools, have sparked active discussions in communities nationwide. There are around 250 groups and over 11,000 viewpoints have been captured. The Conservative Women’s Organisation has a nationwide network that attracts women from all walks of life and communities who come together to feed into the agenda setting of the party through their influential reports on issues. They also play an additional and vital role of encouraging women into public life at all levels including public office as a councillor, MP or MEP. They have helped talent spot and nurture talent over many years and contributed to the significant increase of Conservative women in Parliament in 2010 from 17 female MPs to 48. For members who like to roll up their shirt sleeves and take direct action to make a difference in their community, there is Conservative Social Action with regional volunteers co-ordinating more than 150 projects across the country and three internationally in developing countries. At the last Conservative Party Conference volunteers packed over 1,300 boxes of donated items including biscuits, sweets, playing cards and crisps, which will be sent out to our troops currently serving in Afghanistan. The plans for the General Election of 2015 are well underway. By opening up policy forums, developing specialist groups and utilising social media we are encouraging more people to participate in the politics. I am fully aware that gaps can open up between good policies developed in Parliament and their implementation, despite the involvement of many experts and wide scale consultation. Unintended consequences can creep in too. This is why it is so important that MPs can draw on their work with individual constituents to raise issues in Parliament with ministers so the gaps can be closed or bridged. Where the policies concern reform to our welfare system, which is designed to offer protection for the most vulnerable people in our society, it is particularly important that the details are got right. While most people agree that our welfare system needs reforming to make sure that people of working age who can work are assisted into work and that they are better off as a result. They also agree that people who cannot work should be supported. Sounds straight forward but creating a decision making process that treats each person as an individual, understands their family circumstances, and treats them with dignity is more difficult than you might imagine. The last government brought in the Work Capability Assessment and it proved to be well short of the mark. 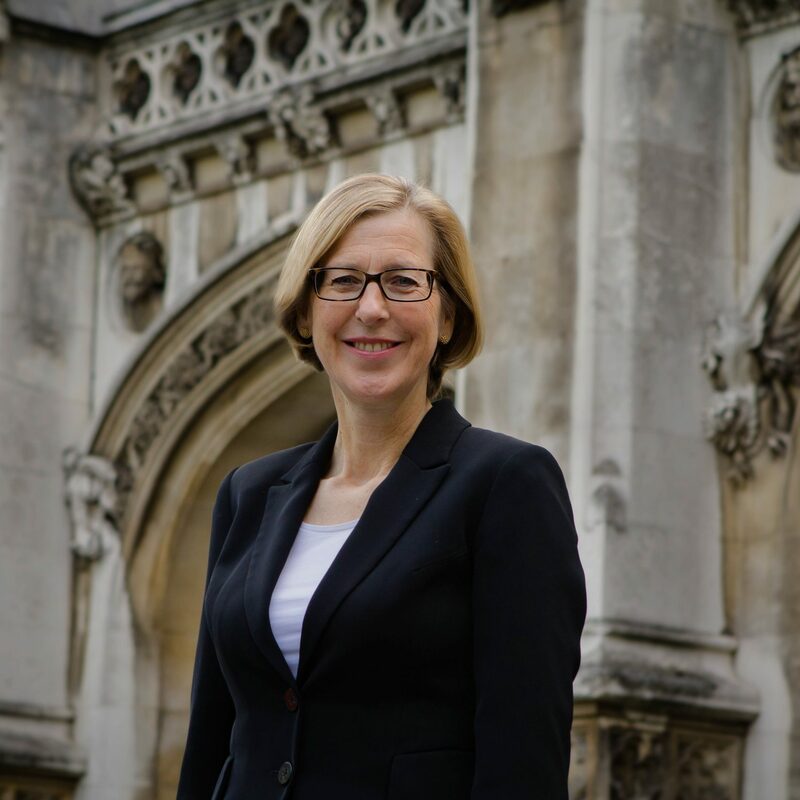 The Coalition government hired an independent reviewer of the process, Professor Harrington who has worked with many disability charities to make recommendations for improvements. He has done a good job and his recommendations have been adopted. More decisions are being got right the first time with fewer appeals. Crucially, thanks to the recent improvements, more people with ‘hidden’ health conditions are now getting the help they need. Approval of benefit applications on grounds of poor mental health have risen from 33% to 49% over the past two years. Further improvements are being made that make it easier for cancer patients to get financial support, without having to attend face to face assessments. However I am not complacent. Constituents have told me that they are worried that the company ATOS that the Department for Work and Pensions use to provide assessments to help DWP decision makers decide which benefits people are entitled to have targets to reduce the numbers of people who qualify. During the debate the Minister was able to affirm that this was not the case. Reforms have also enabled decision makers to consider information provided by doctors and other healthcare professionals as well as carers. In fact the improved process is enabling more people to receive the highest levels of disability benefits. As a result of more targeted support to help individuals into work, people who had been abandoned on disability benefits and wanted to work are with support finding employment. I have visited the local organisations who are working with local employers to enable this to happen. As work is about so much more than getting a wage slip I am pleased that people who were previously excluded are now having the opportunity. The devil is always in the detail, so I will continue to listen to my constituents to enable those that need help to receive it. On this week sixty eight years ago, Auschwitz-Birkenau death camp was liberated. 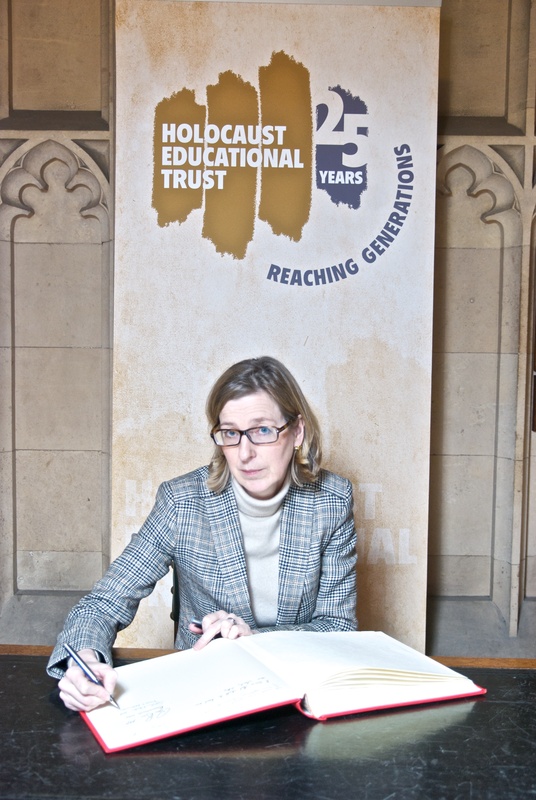 In Parliament I have joined colleagues in signing the Holocaust Educational Trust’s Book of Commitment. This act is one small way in which the Holocaust and its victims can be remembered, and in which we can all commit to ensuring that this greatest of human tragedies can never happen again.